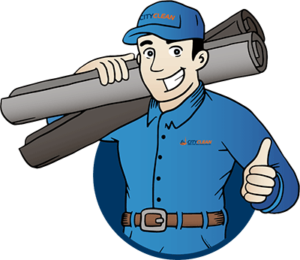 Renting mats for business may not seem like a very glamorous thing to consider if you are a business owner. Business owners have a constant and demanding role that requires them to decide where to spend money for their business and what will give them the greatest return on their investment. City Clean knows that business owners should include business floor mats on the list of expenditures that are worth their investment. Keep reading to find out why! Some of the common issues that business owners face include keeping their space clean and in good repair, creating brand awareness, having productive employees and using processes that are efficient and cost effective. Renting mats for business can help with all of those areas! When you rent business floor mats, it means someone else is responsible for cleaning and maintaining the mats. It also means that you have someone with expertise who can provide solutions for your specific space and your specific needs. Whether you are in the healthcare industry, a retail store or a commercial office space, a rental mat company can offer you a solution that works for your business. 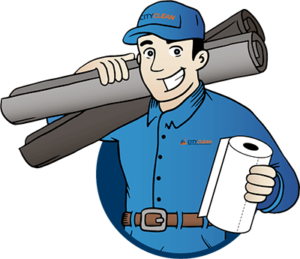 Save yourself the time of running around to find something that might work when a company like City Clean can deliver you something that will work. Proper business floor mats also protect your floors from damage. Not only is there no upfront cost when you rent mats for business, but they can also save you money in the long run by extending the life of your floors. Mats for business can be more than just a place to catch dirt and water. Many business owners make use of the option to add a logo or message to the business floor mats they use throughout their space – an efficiency that is a welcomed addition. Anti fatigue mats are a popular option when it comes to renting mats for business. These mats reduced body fatigue and insulate against cold floors making your employees more productive. Process and automation are a welcome addition to any business owner’s life. With so much to oversee, having your business floor mats serviced and maintained on a regular schedule is just one less thing you have to worry about. That means that your place of business will look clean, professional and well maintained without any added work for you or your employees. At City Clean, we know that we can support business owners, regardless of industry, and add value through our rental mats for business services. The information above covers just some of the reasons why business owners should consider renting business mats. 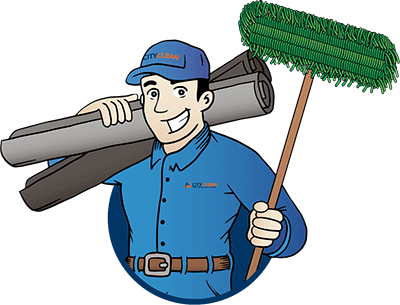 To find out how City Clean can meet your specific needs and add value to your business, contact us at 1 (877) 649-7747 or email info@cityclean.ca.